This time Luciano Pignataro takes the stand. Wine critics and writers, those who taste live and not just at events, spend much of their lives in their cars. Given the cost of fuel, tickets, mechanics and insurance, I would say one way to cut costs would be to take a healthy sip and go by boat. And I’m only partially in jest; this is a different and extraordinary itinerary that departs from Ponza and ends in the Cilento, passing a few randomly selected places: Ischia, Capri, Napoli, Vesuvio, Sorrento, Positano, Amalfi, and Paestum. In other words, the most famed tract of the Italian coast. Capitan macchi is in the cabin tasting the wines, Roberto Giuliani is minding the sails, Stefano Tesi mans the wheel, Kyle Phillips jibes, Ettore Colombo, good Northerner that he is, handles navigation from ashore via Skype, and I take the post of Cabin Boy (i.e. I enjoy the crossing), and we also have a stowaway, Pasquale Porcelli. In short, a great time for all. Truth be told, we depart Ponza after resupplying from Pascucci in Fiumicino. The islands belonged to the Kingdom of the two Sicilies, and are one of its most extreme beauties. Fieno di Ponza is on a small hill between Chiaia di Luna and the lighthouse, and has survived untouched thanks to the lack of navigable trails; the only way to reach it is a 40-minute walk down a rugged mule track. 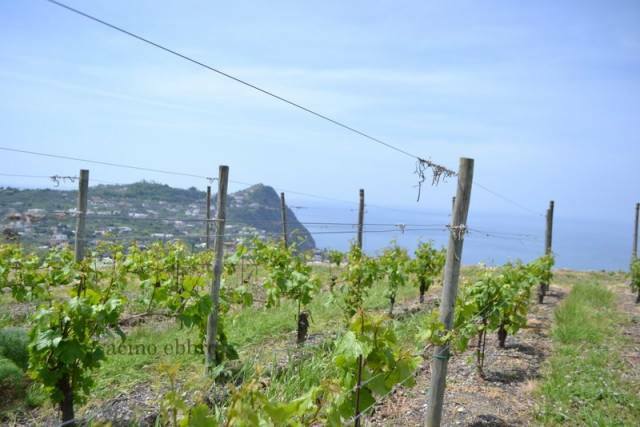 The Migliaccio Family has cultivated 2 hectares of vineyards here since 1731; they were permanently donated by Carlo di Borbone, and are planted to Biancolella, Per’ ‘e Palummo, Forastera and Aglianico, the classic varietals of the island of Ischia, from which the owners hail. We enjoy a Fieno with Octopus Salad. From Ponza we set a course to Forio on Ischia. Here, on the slopes of Mt Epomeo we admire the Fratelli Muratori’s shiny new Azienda Giardini Arimei. We are upon Mycorrhized terrains, and therefore in the presence of eco-simbiotic viticulture; no chemical treatments or fertilizers, and only green manure. Part of the vineyards, about 1 1/2 hectares, has Mycorrhized leaves: No treatments with copper or sulfer, and the work in the winery, which is carried out by Francesco Iacono and Serena Gusmeri, is carried out so as to be ecosustainable following the biodynamic phases of the plants. The goal is to reduce human impact as much as possible, and to return humanism to the vineyards, making people conscious protagonists. Distracted by the beauty of the landscape, we note behind us the slopes of Monte Epomeo. And as we raise our eyes to the imposing stones see puffs of white that slowly dissolve: fumaroles, which lead Francesco Iacono to talk about Thermal viticulture. 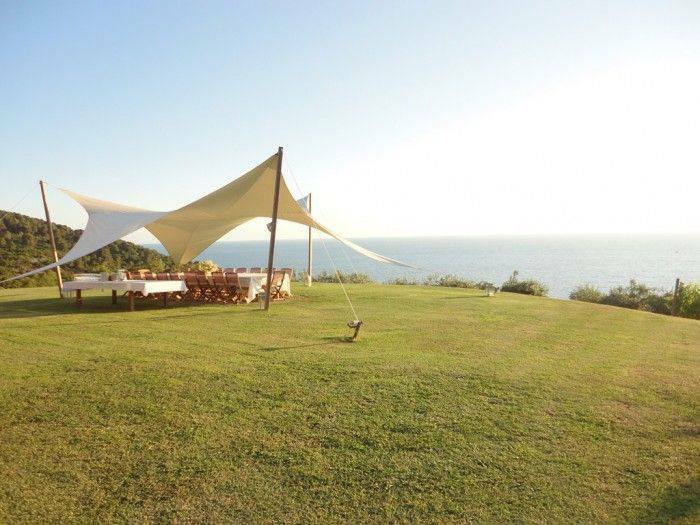 We enjoy the panorama and the sea. All is still, and only the expectation of the wonders that await us leads us to return to our boat. Navigating the slack winds we take advantage of the summer Maestrale and quickly reach Mergellina, passing by Procida and Capo Posillipo. 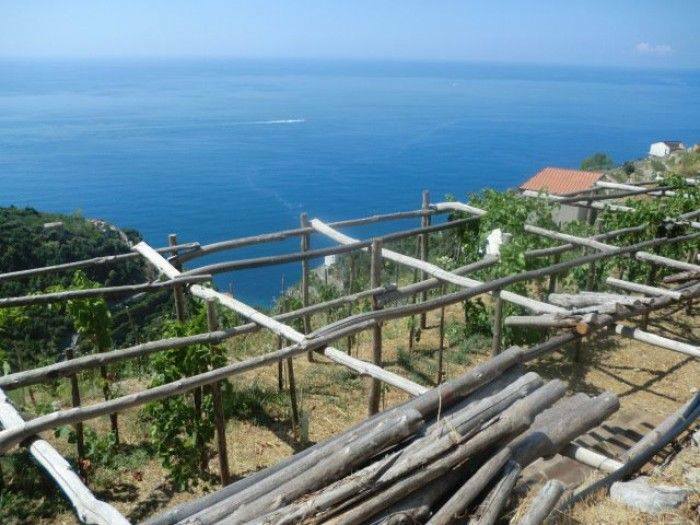 I tell the crew that Naples has the largest vineyard area of any European city: There are the vineyards of Gallerista Morra at Castel Sant’Elmo, of Cantina Astroni and Raffaele Moccia at Agnano, and upon the Camaldoli the Vigne di Parthenope. 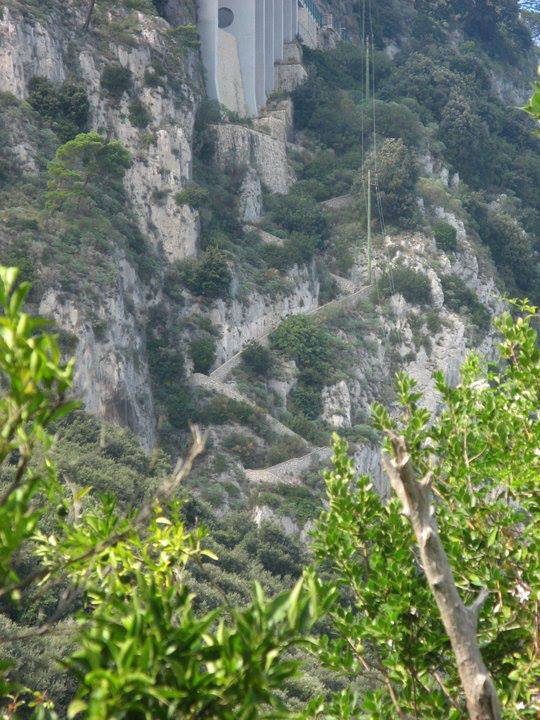 We head for Salvatore Varriale, patròn of Rosiello with his four hectares, from which one can almost touch Capri. We quaff his Piedirosso Santo Strato with spaghetti in a marinara sauce, and stock up on Uva Rosa for the crossing to come. Navigating from coast to coast we reach Castellammare, one of the most touristy places in the world: Vesuvius and Pompei. 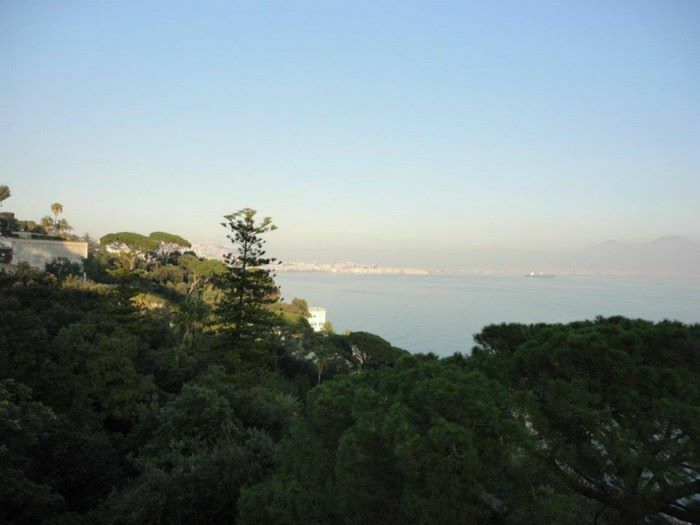 I want the crew to experience the cradling effect one feels when looking upon the Golfo from above, when during the climb one can see Capri, Sorrento and Naples. We’re hosted by the Ambrosio Family, which works primarily with olive oil, but here, a stone’s trhow from the excavations, has bought a property it farms organically. Extraordinary white wines, one from the two estates, while the other is a Mastroberardino, who has many older vintages of Vigna del Vulcano, from Uva Coda di Volpe and Falanghina, which change the perception of Lacryma Christi. We drink it with about sixty maccheroni frittatinie made with the bucatini made by Gerardo di Nola da Salvatore Salvo, a young and capable pizzaiolo from San Giorgio a Cremano. Here Pasquale finally comes across someone he can talk with in Barese: Winemaker Giuseppe Pizzolante Leuzzi. Making wine on Capri requires above all passion; here people become millionaires selling candies to the tourists. It instead takes powerful drive for one to measure oneself with terrains that alas belong to the distant past, and farming traditions that have almost completely vanished. And this is why we are interested in this winery, which belongs to the Koch Family, and in their willingness to make wine without playing the easy Capri DOC card. The white is from Ciunchese (Greco), San Nicola (Biancolella) and Falanghina, and is fresh. Perfect with the cheeses of the Penisola Sorrentina, which is just a short swim away. But the best is yet to come; we sail over the seas of Punta Campanella, whose bottoms are littered with Roman, Greek and Phoenician amphorae, passing by Positano. In the course of the trip we enjoyed a delivery of Spaghetti alla Nerano, and drank the last bottle of Pietra Box dei Giardini Arimei, which had survived because Stefano Tesi got seasick. 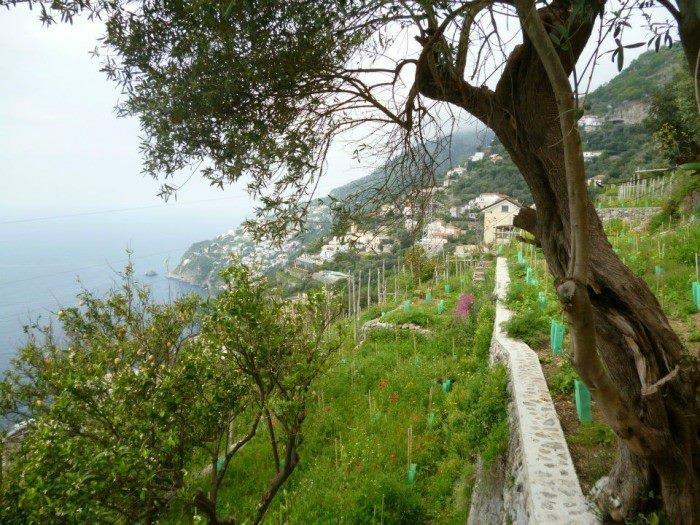 We dock at Amalfi and immediately head for Marisa Cuomo and her husband’s cellars, experiencing the spectacular verticality of the Costiera, which goes straight up from 0 to 300 meters. The great vaunt of ths winery, overseen by Luigi Moio, is to have reaffirmed the image of the wine, producing masterpieces while maintaining firm bonds with the traditional indigenous grapes. An example followed by many. From Amalfi we sail along the coast, stopping to swim at the Spiaggia del Cavallo Morto and enjoying the Pansa di Amalfi Bakery’s spectacular babà, dipped in Giardini Arimei passito. The last bottle, because Stefano is still seasick… Vincenzo Mercurio awaits us for a hill that really does require 4-wheel drive. 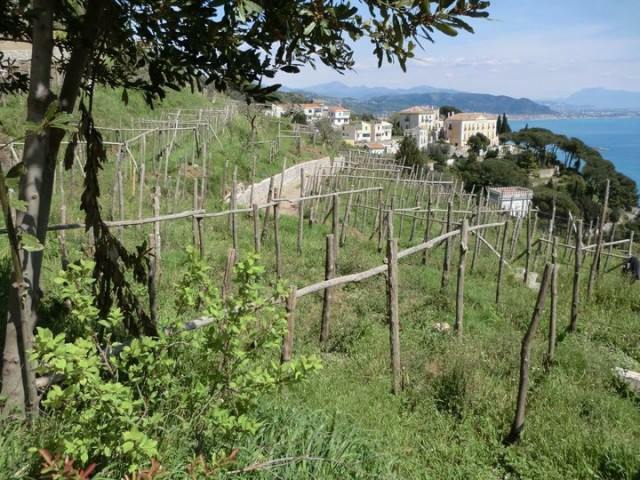 On the ridge crest Raffaele Palma has embarked upon a new path, using the money he made selling wood to build a fable, a property where he produces Limone Sfudato Amalfitano DOP lemons, Olive oil, Colline Salernitane DOP, and wines of the Costa d’Amalfi DOC, all organically. Three wines: Puntacroce from Falanghina, Biancolella, Ginestra and other indigenous varietals (Fenile, Ripoli, Pepella). Rosato Il Salicerchi from a soft pressing of Piedirosso, Aglianico and Tintore, an intensely colored rosé, with cassis licorice aqnd clove aromas. The red Montecorvo from the same grapes, of which you will hear. Another leg, from Maiori to Vietri, the land of ceramics. We climb to Raito immerge ourselves in a vision from a white creche, colored by bouganvilles. Once again life that has changed: Patrizia Malanga and her husband decided to take up residence in a property behind Villa Guariglia, the seat of the Badoglio Government after the Allied landing. The red, from Piedirosso and Aglianico, is extraordinary, offering a view of the Infinite. We tarry until the evening, enjoying the cool breezes from the Monti Lattari. And now, the longest leg for our grand finale. Giancarlo Gariglio, a man who has seen vineyards and estates over the course of his life, says this is one of the most beautiful in Italy. T reach it we cut across the Gulf of Salerno and docked at Santa Maria di Castellabate. Welcome to the South, and to the lives of Ida and Mario Corrado, who have lived in this area protected by land and by sea for decades, many of which without so much as a phone. Here, under organic farming and with the assistance of the young Michele D’Argenio, they have produced extraordinary whites from Fiano and Castellabate, and Maroccia from Piedirosso and Aglianico, good very drinkable reds. Everything is suspended in time, in the Parco del Cilento, where doing anything takes twice what one would expect. But it’s nice, we drink Tresinus with Raffaele Barlotti’s buffalo milk mozzarella, and we realx amidst oaks and olives: The trip is over, but we understand why we like these wines and the people who make them. 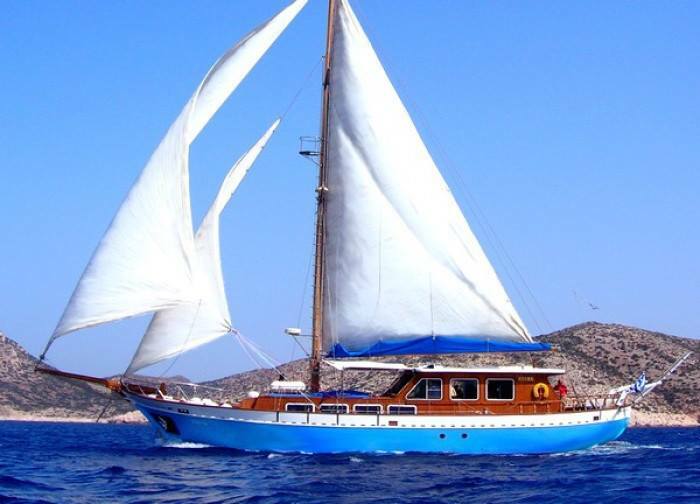 This entry was posted in Garantito IGP and tagged boat trips, boating, cruises, Garantito IGP, indigneous varietals, italian wines, Luciano Pignataro, Southern wines. Bookmark the permalink.